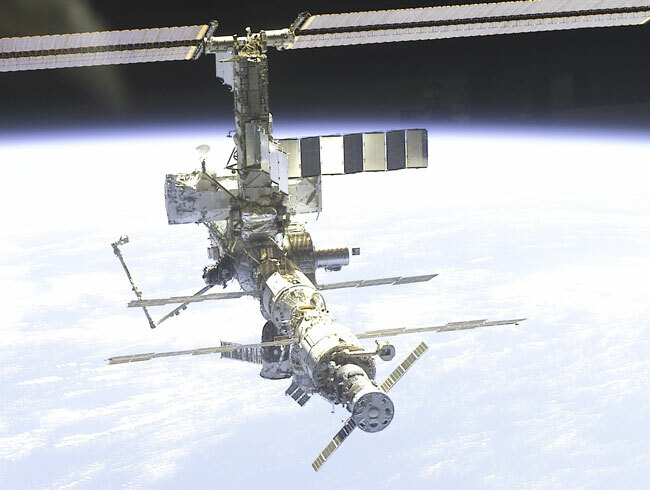 Explanation: What does the developing International Space Station (ISS) look like now? After delivering and deploying a crucial first backbone-like component last week, the Space Shuttle Atlantis took an inspection lap around the space station. The newly installed truss is visible toward the center of the above image. Also visible are many different types of modules, a robotic arm, several wing-like solar panels, and a supply ship. 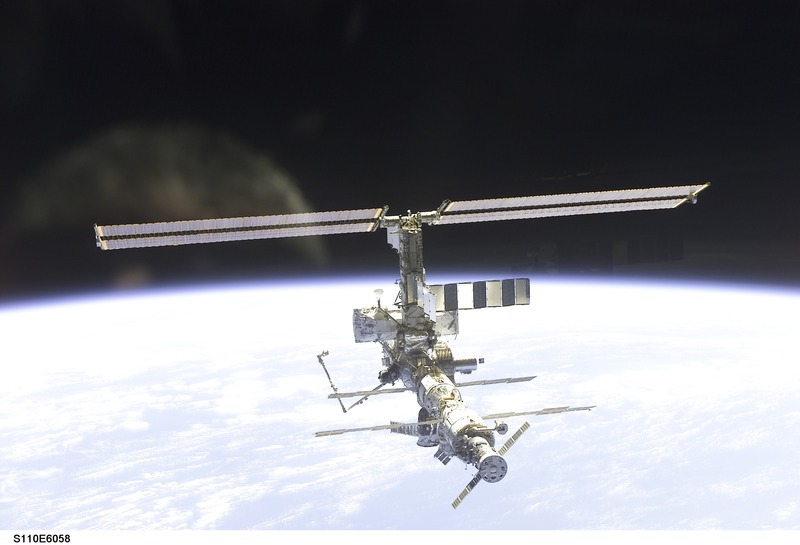 Construction began on the ISS in 1998 and the core structure should be in place before 2005.